When Boko Haram attacked Hadje Malloum’s village in Chad and killed her husband, she managed to flee with their 11 children. 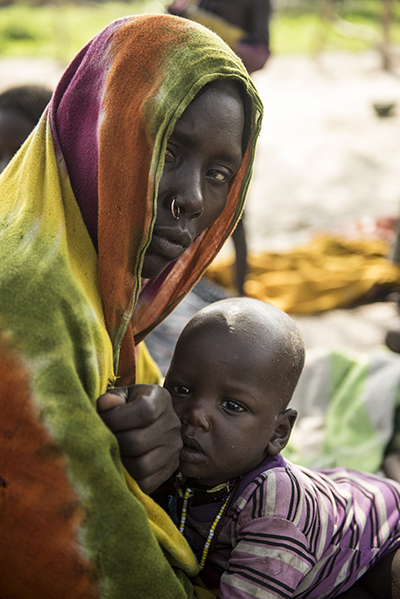 Haoua Abdoulay was pregnant when Boko Haram forced her to leave home. She traveled by foot for 5 days. After arriving in a village called Kaya, Haoua gave birth to her sixth child. 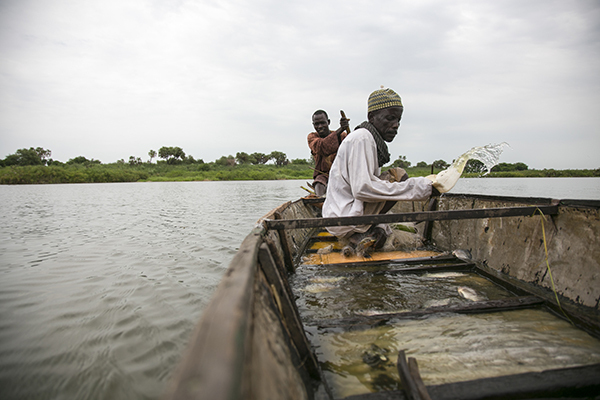 Fisherman Moussa Mai left everything behind when Boko Haram attacked his village. He traveled 4 days by boat and arrived in Kaya with nothing but the clothes he was wearing. Like millions who have fled Boko Haram attacks, Hadje, Haoua, and Moussa sought shelter and safety in a host community. But the community’s generosity is limited by circumstance. People in Kaya face a convergence of violent extremism, climate change and poverty. As a result, they often struggle to meet their own needs. Catholic Relief Services is there to help. In Chad, CRS and our local Church partner SECADEV have plans for food fairs where people who need help can pay for food and livestock with vouchers we will distribute. Corn seeds will be given to 400 people and fishing equipment—nets that allow smaller fish to escape and continue to grow—to another 250 people. The idea is to help people not just survive the emergency period, but to become more resilient. Lake Chad is shared by Nigeria, Chad, Cameroon, and Niger. During the 1960s, Kaya was on an island in the lake—at the time one of Africa’s largest bodies of water, roughly the size of Vermont. Plenty of fish swam in its waters, and fertile farm and grazing land lay at its shores, providing livelihoods for more than 30 million people. But Lake Chad has shrunk by almost 90% —because of climate change and environmental degradation. The impact on food and people’s income across the region has been dramatic. And Kaya is no longer an island. With the massive influx of people uprooted by Boko Haram and the diminishing water supply, the need for humanitarian assistance is urgent. Across the region, at least 9.2 million people—including 2.6 million displaced—lack food, shelter, clean water and other basic necessities because of the violent conflict caused by Boko Haram. The people of Kaya are trying to do their part, providing for the Boko Haram victims. 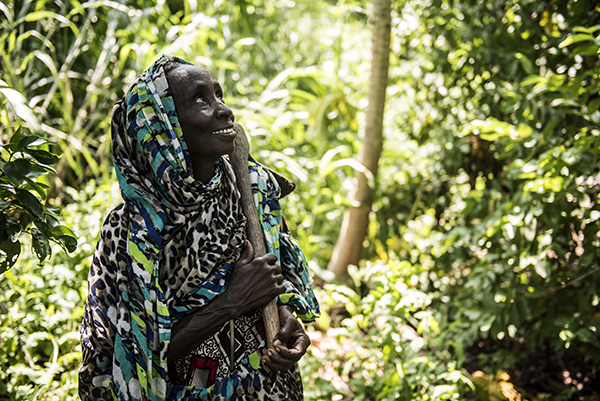 “When we came here, we went to the chief, who gave us land for our family,” says Moussa. “They welcomed me very well and helped me build my house,” adds Haoua. Now she distributes food to children, free of charge. And the new arrivals try to do their part too. “My children go to the bush and get crops to make a mat, and we sell the mats in the market,” says Hadje. That brings in about $3 a week. It’s her only source of income. But the already-stressed community is strained. “We can be patient, but we are always feeling hungry,” Bay says. CRS and SECADEV are supporting host communities and displaced people in villages like Kaya, helping more than 1,000 households. Cash vouchers provide up to 2 months of food so that people won’t have to eat their seed stocks during the lean season. This is the period just before harvest, when stored crops are gone but the new ones aren’t ripe. CRS is responding to the effects of Boko Haram violence across the region, in Chad, Nigeria, Niger and Cameroon.